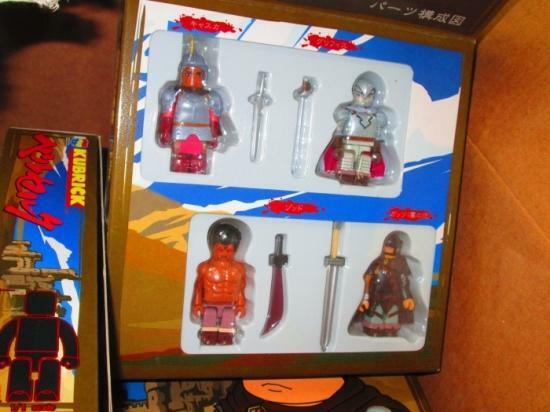 «©NCSX» A set of four Berserk figures are collected in a decorative flip-top container. 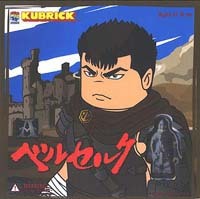 The main character of Berserk, Gatsu (Guts) is shown on the front cover of the packaging and wears a helmet in his Kubrick turn. 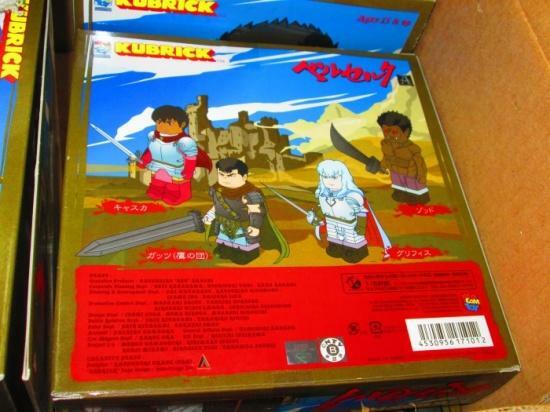 The three other Berserk figures featured in the Kubrick collection are the blue-haired Griffin (leader of the mercenary group Hawks), Caska - a female commander of the Hawks, and Nosferatu Zodd. 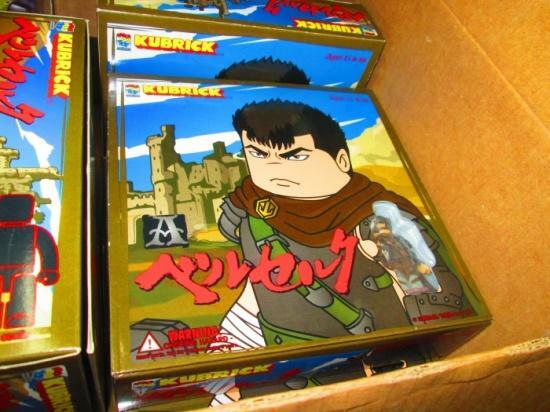 Each figure may don the included bits of armor for a new look. Orders ship same-day (M-F) if placed before 4PM EST. Brand new and factory boxed inventory from original NCS stock.